this is one image from the initial campaign for cic - private banking. it was shot in athens, in the stoa of attalos. the stoa is one part of the agora of athens and was named after king attalos II of pergamon. 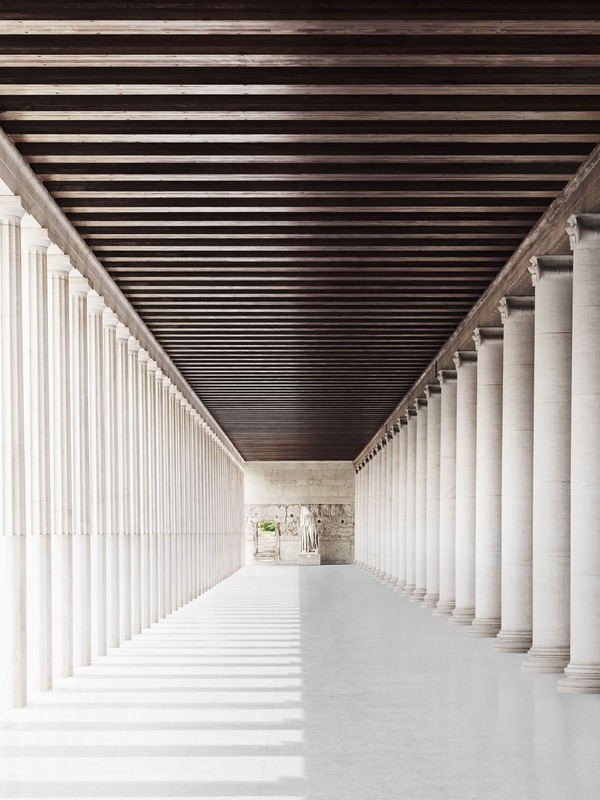 the stoa's dimensions are 115 by 20 metres wide and it is made of marble and limestone.